Since this is our first Christmas in SF, Amy and Lijen went out and got us a tree named Peanut!! He is about 2 feet tall and smells like a forest. Last night, while singing Christmas songs, we decorated Peanut with lights, heart ornaments, some popcorn, and topped him with a sweet star. Come by and say hello to Peanut and sing a few Christmas carols while you are here. Happy Holidays! 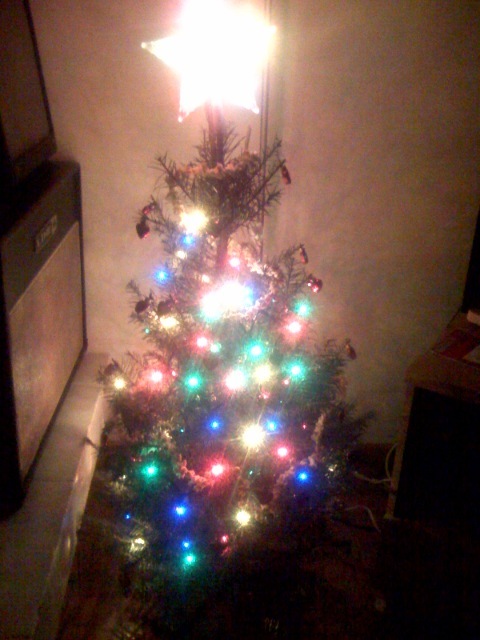 Awww, it’s a lil tree! dood that’s where i put my stuff whenever i crash.